The 32nd Asian American International Film Festival (AAIFF), presented by Asian CineVision (ACV) kicks off on July 23 for four days, with the New York premiere of Hong Kong screenwriter Ivy Ho’s directorial debut Claustrophobia. The film stars Karena Lam, Ekin Cheng, Felix Lok, Derek Tsang, Chucky Woo, Eric Tsang and Andy Hui and tells the story of five office colleagues’ relationships. This year’s slate includes 14 feature films, 50 short films, panels, workshops and film receptions. The films will be screened at three locations: Clearview Chelsea Cinemas, 260 West 23rd St, across the street at the brand new School of Visual Arts Theater, and the new Museum of Chinese in America building, 215 Centre St. (between Howard and Grand Sts. ), one block north of Canal St. The Centerpiece Presentation on Saturday, July 25, will showcase a festival circuit favorite, Children of Invention, directed by Tze Chun. Concluding the festival will be the Closing Night Presentation, the New York Premiere of Fruit Fly, a musical comedy directed by H.P. Mendoza. The 32nd Asian American International Film Festival (AAIFF) runs July 23-26, 2009. A sensitive and deceptively serene portrayal of five office colleagues’ relationships marks this intelligently crafted directorial debut by one of Hong Kong’s best known screenwriters. Director Ivy Ho will be in attendance and available for Q&A after the film. To be followed by a Gala at BLVD. Charlyne Yi doesn’t believe in fairytale-like romance, but can’t deny that it may exist for others. Together with her friend and director, Nick Jasenovec, she sets out to film a documentary about true love. Ethnomusicologist Ngawang Choephel travels across Tibet to record and study the rich diversity of traditional folk songs but is arrested by the Chinese government for suspected espionage. Director Ngawang Choephel will be in attendance and available for Q&A after the film. The Raj family is definitely not a household comprised of your stereotypical Asian model minorities living the American Dream. On top of the family’s troubled finances, the family hosts a recently widowed relative, Mausi, a fount of comic disasters. Director Sarba Das, Co-writer/Producer Sarthak Das, Producer Rita Parikh, Kavi Ladnier, Gargi Mukerjee, and Samrat Chakrabarti will be in attendance and available for Q&A after the film. Anna May Wong: In Her Own WordsIndependent film producer Karin Chien leads our annual WORK IN PROGRESS program, which guides filmmakers through the process of molding an unfinished work into the final cut. This event was organized as part of the Media Coalition for Artists of Color Networking Salon. Admission is free for all members of Media Coalition organizations. Anna May Wong was the first Asian American actress to achieve critical acclaim in Hollywood, ultimately becoming a fashion icon and international starlet. Her success in the face of overt racism and discrimination has fascinated historians and filmmakers alike. This new documentary is staged from the dressing room of her one woman cabaret show in Europe during the late 1930s. Relying on primary source material from the actress herself, filmmaker Yunah Hong interweaves reenactments of the show with archive footage and interview clips to finally tell the story of Wong’s life in her own words. Space is limited, so please RSVP in advance if you wish to attend this program by clicking the “Purchase Tickets” link above or by emailing wips@asiancinevision.org. Director Yunah Hong will be in attendance and available for Q&A after the film. View the top 10 films from the Asian American Film Lab’s 6th annual 72 Hour Shootout, a competition in which teams have 72 grueling hours to write, shoot, and edit a short film on a surprise theme. This year’s surprise theme is TIME’S UP. This program is presented by the AAFilmlab, a collaborative of New York based Asian American filmmakers who meet regularly to hone their craft and to share resources. Please visit aafilmlab.org for more information. In a conservative atmosphere, theater director Andre tries to break new ground with a hyper sexual play. He faces obstacles in funding his project and working with his actors, but passion ignites between the two middle aged leads as theater and life becomes intertwined. Directors Mark Gary and Denisa Reyes will be in attendance and available for Q&A after the film. FBI agent Jake Kelly’s investigation of a loved professor’s murder leads him to Taiwan, where he finds that the killers are part of a terrible web of politics that he only starts to cut through when he finds a friend in a local activist. Director/Producer Adam Kane, Producer/Writer/Actor Will Tiao, and Actor Tzi Ma will be in attendance and available for Q&A after the film. The AAIFF SoundMiX showcases an eclectic range of music videos from up and coming artists. With live performances by Big Phony, P.I.C., and Guest DJ set by Ahmed Hashim! Free for guests with same day festival ticket. Must present stub at the door. $5 General admission for the entire night. Through the medium of film, these young artists who are all under the age of 21 document the issues surrounding them. They provide fresh perspectives on subjects that might ordinarily be overlooked by their seniors. Love, be it between father and daughter or husband and wife, often comes with a price. Things are not always what they seem; sometimes love leads you to very dark places. This series of shorts dares viewers to journey into the hearts and minds of women who must challenge gender roles in the face of familial dictatorship, loneliness, sexuality and jealousy. One of Hong Kong’s most celebrated film writers, Ivy Ho makes her directorial debut with 2009’s CLAUSTROPHOBIA. Born in Hong Kong, Ivy began writing screenplays when she was nineteen years old. As a young woman, she wrote numerous scripts for television on a freelance basis while tending to a full-time career in public relations and advertising. Her career breakthrough was the 1996 success of COMRADES: ALMOST A LOVE STORY, which was directed by Peter Chan. Ivy continued to write screenplays to critical and popular acclaim, winning awards for her contributions to Ann Hui’s JULY RHAPSODY in 2001 and Benny Chan’s DIVERGENCE in 2005. Her work has covered a wide range of genres, from romantic love stories to suspenseful crime thrillers. In this rare chance to meet Ivy in person, the esteemed filmmaker will discuss her creative process as a screenwriter as well as the challenges and discoveries that come with her new role as a director. 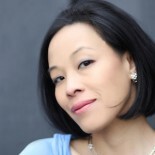 Moderated by La Frances Hui, Senior Program Officer of Cultural Programs and Performing Arts at the Asia Society. Way before Harold and Kumar’s search for sliders, before we learned about Drifting in Tokyo’s parking structures, and before the All-American Girl Margaret Cho’s foray into network television, there was Jack Soo. You Don’t Know Jack, reveals the inspiring story of Jack Soo, who grew up in Oakland as Goro Suzuki. Soo, a six-foot-tall man who was turned down for hundreds of roles because he was too tall for an Asian, is an extraordinary example of someone who followed his dreams to be an actor, but refused to play stereotypical roles. An intimate look at comedy, community, and ethnic identity, the film features rare photographs of Soo’s life and career and fond recollections by his daughter, fellow cast members, high-school friends, and fans. Filmmaker Jeff Adachi has created a film that demands not only that we know Soo and his legacy, but also that we learn from his spirit, which was alive and unyielding, in spite of the discrimination of his time. Director Jeff Adachi will be in attendance and available for Q&A after the film. This series of documentaries highlights the lives of those who, in their pursuit of an ideal, cannot afford to take anything for granted. Standing up for the displaced, the marginalized, and the silenced, the figures in these films aren’t larger than life. This, in fact, is what makes their stories so vital. Hung up over his divorce and sharing a room with his 10 year-old nephew, Jimmy can’t even keep a job without help from brother-in-law, Tak. When Jimmy falls for Tak’s niece, Ramona, it seems like he may be heading for trouble, but all is not yet lost in this quest for love. Director David Boyle and Actor Hiroshi Watanabe will be in attendance and available for Q&A after the film. The first year of the Bronx Center of Science and Mathematics is documented in this film. With a stated mission of patching the cracks in the education system, it’s clear that the odds are stacked against it. Director Christopher Wong and Edward Tom, Principal of Bronx Center for Science and Mathematics, will be in attendance and available for Q&A after the film. Preceded by The Call Center. Identity is more than the sum of innate qualities—when born out of minority status, it can emerge as a form of personal creation. Here, we witness stories of individuals and communities whose identities reveal as much about their environments as they do about themselves. When their home is foreclosed on, the Cheng family moves into a unit in an unfinished apartment building, pushing mother and children to look for ways to pull in some extra income. Director Tze Chun and actors Cindy Cheung and Crystal Chiu will be in attendance and available for Q&A after the film. To be followed by a reception at 310 Lounge. Li Tong, a restless young girl, loses her bus pass one day after school. Her meandering trip home is the thread of this poignant “day in the life” tale, which wends its way through the various homes, personae and urban landscapes of contemporary Beijing. Director Nian Liu and Producer Grady Granros will be in attendance and available for Q&A after the film. A documentary about the Manongs in San Francisco’s Manilatown and a look into the life of the late poet Al Robles, Manilatown Is In the Heart is a touching eulogy to an activist/historian who was outlived by the vanishing subject that he strived to preserve. Preceded by A Song for Ourselves. Family is taken to be a foundation, but in reality is a process: sometimes graceful, sometimes turbulent. This series of films exposes family members in moments of change and explores the motions of their growth as well as their dissolution. “The Emperor Has Arrived” is a fish-out-of-water tale that centers on Raj Selvam, a cynical young Indian-American architect whose estranged father suddenly dies. Raj and his sister, Kavita, fly from New York City to Malaysia, where he must unexpectedly perform his father’s Hindu funeral ceremonies. Against a vibrant Malaysian backdrop, Raj performs an often-comical assortment of funeral rites, from washing his father’s body with coconut oil to bathing in the local river, all under the watchful eyes of his gregarious – and often bossy – Indian relatives. Meanwhile, Raj grows increasingly suspicious of his Uncle Siva, the family patriarch, whom he suspects of stealing his father’s will. As his father’s mysterious past slowly comes to light, Raj eventually discovers a long-hidden secret, one which has the power to change him, and the entire family, forever. “The Emperor Has Arrived” was written by Jay Paramsothy and Catherine Torphy. Admission to the Screenplay Reading is free, and complimentary tickets will be available at the venue beforehand on a first come, first serve basis. Ranging from boisterous humor to out-of-body experiences, this set of shorts takes as much pleasure in bending reality as it does in making light of it. These films capture the whimsical, the supernatural, and the unexpected with a variety of takes on life. The youngest in a long line of daughters traces the story of her life through the weddings of her sisters. As each member of the family comes to terms with her own womanhood, a simple egg tart becomes the anchor of their experiences and emotions. Director Risky Liu will be in attendance and available for Q&A after the film. Preceded by The Eighteenth Birthday Party. As technology evolves, the area that copyright laws govern has become more and more grey, spawning much debate on ownership and sharing. Join the discussion on this relevant topic for artists in a new era of media. In collaboration with Asian American/ Asian Research Institute at the City University of New York, AAIFF showcases the best short films by CUNY student filmmakers. Covering a whole spectrum of genres including narrative, documentary and experimental films, these eight shorts demonstrate the vibrant energy from students testing the water in film media. A naughty, fast-paced, punchy romp of a musical, Fruit Fly follows young performance artist Bethesda on her soul-searching journey to find a place for herself while trying her luck in the art scene. To be followed by a reception at Velour. Asian CineVision, Inc. is a not-for-profit national media arts organization dedicated to the development, promotion and preservation of film and video arts by and about people of Asian descent. Founded in 1976 by Hong Kong cinema legend Tsui Hark, Oscar-nominated director Christine Choy, Danny Yung, and Peter Chow, ACV began as a media activism organization. The organization continues to serve the Asian American community by promoting the works of Asian and Asian American filmmakers, and providing a window to the diverse experiences and livelihoods of the Asian diaspora. For more information on ACV, please visit www.asiancinevision.org. AAIFF is the first and longest running festival in the country devoted to showcasing films created by media artists of Asian descent and about the Asian community. Founded in 1978, AAIFF continues to be a leading showcase for Asian American film and video. For more information on AAIFF ’09, please visit www.aaiff.org. Tickets for programs can only be purchased at their respective venues. Three-for-two ticket passes are only available for purchase over the phone & in-person. All panels and workshops are 10 dollars except for Youth Workshop and Screenplay Reading which are free. This entry was posted on July 21, 2009 by Lia Chang in Asian American Artists, Asian American Pioneers, Entertainment, Film, New York and tagged ACV, Asian American International Film Festival, Children of Invention, Claustrophobia, Clearview Cinema, Fruitfly, HP Mendoza, Ivy Ho, Karma Calling.